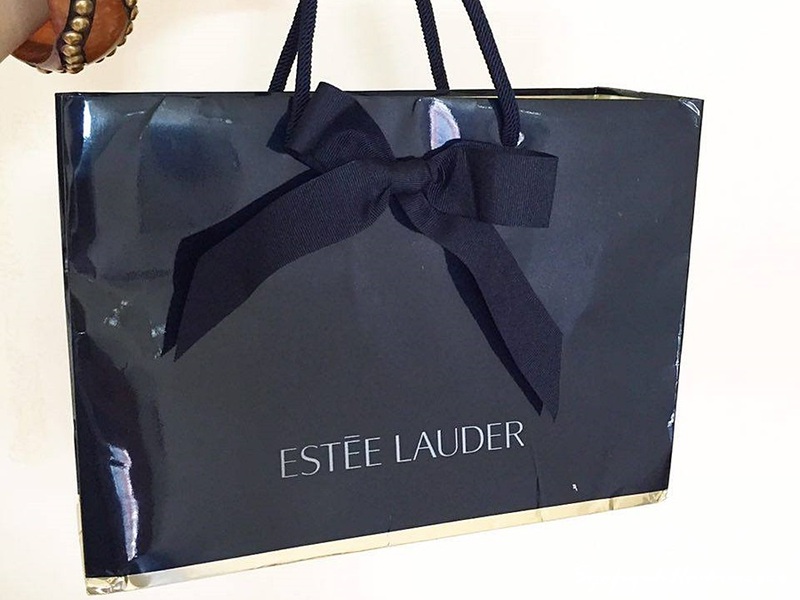 After I've been so busy with all the assignments and quizzes basically my stydy life lah and one day I received a parcel and it is from Estee Lauder! I was soooo happy. 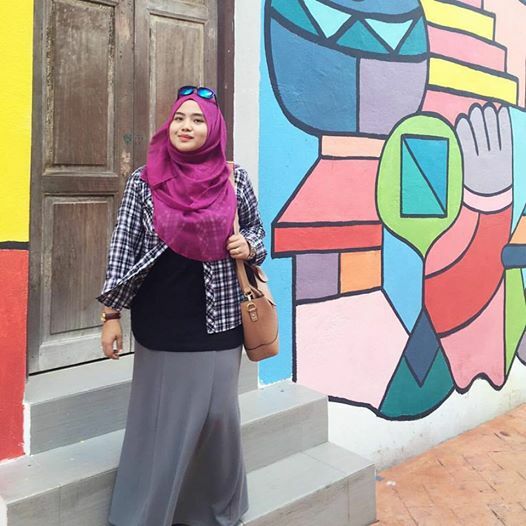 Totally made my day after all the hectic weeks.. Like seriously I was so tired with all the works.. Penattt sangat. 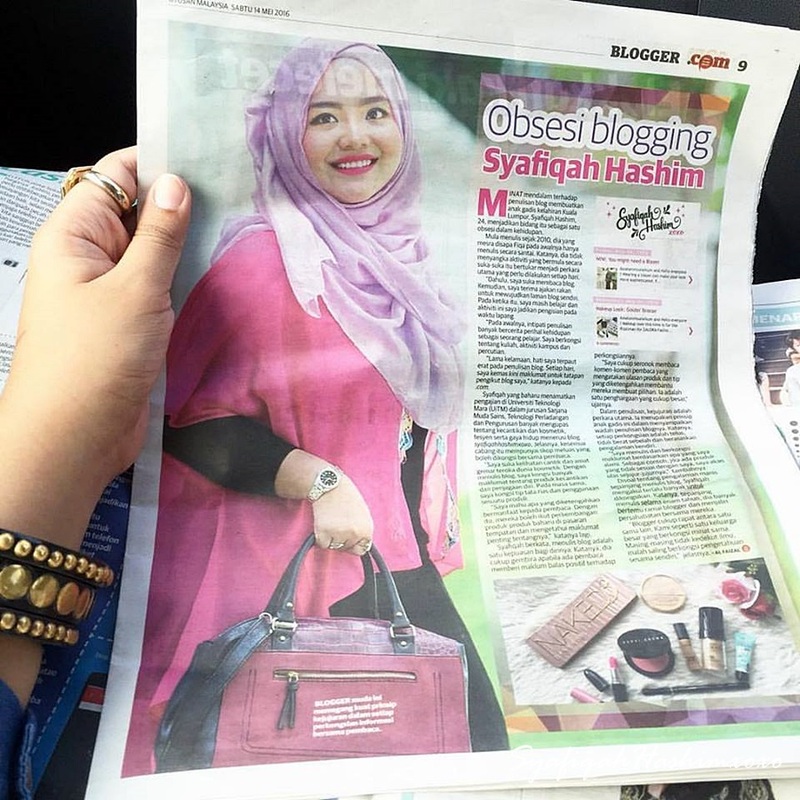 Thanks Estee Lauder Malaysia for this.. 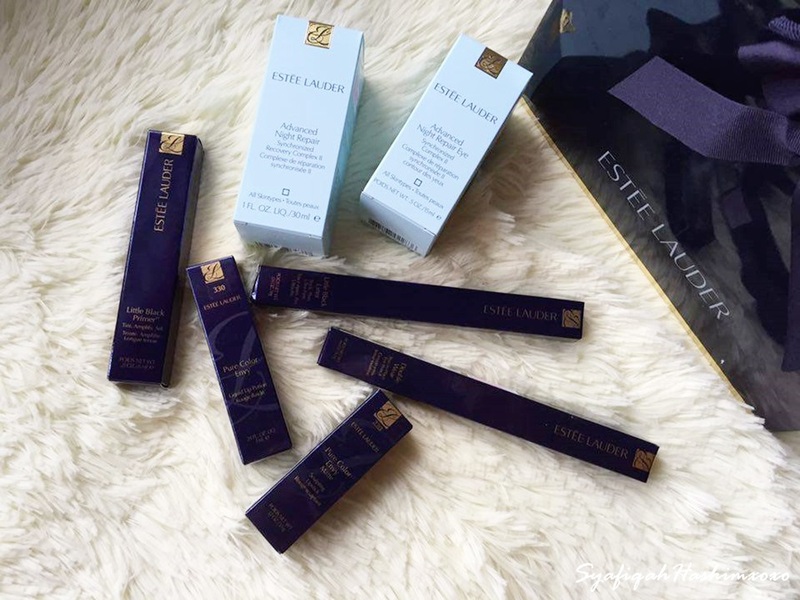 So, here some haul about the product I received from Estee Lauder. This is basically Unboxing Haul for what I got. Love everything and I feel like flying at the time when I saw all this babies! 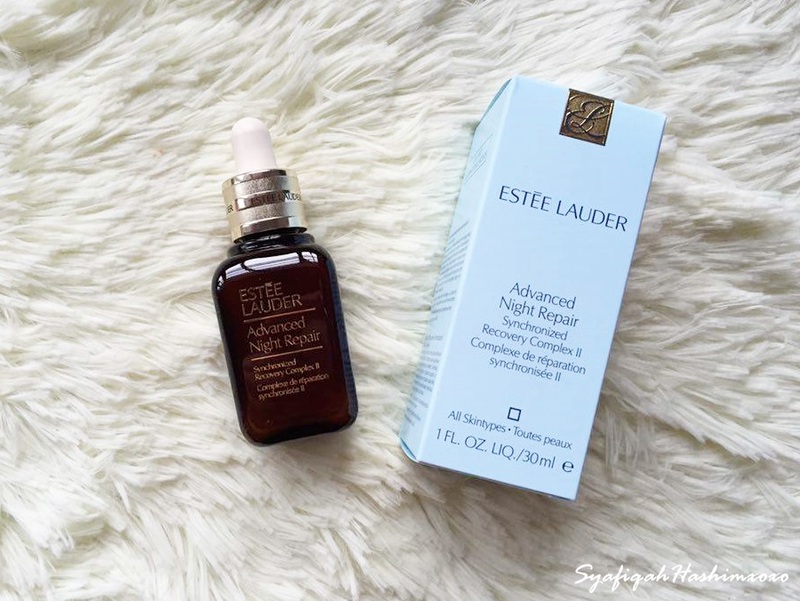 Ihiksss..
First thing first, I'll start with the Holygrail product from Estee Lauder non others than the Advanced Night Repair. I know this thing is being rave by soo many beauties out there and I'm so happy finally had a chance to try out this product. This suitable for all skintypes. It most comprehensive anti-aging serum ever. Advanced with exclusive repair technology, it is proven to significantly reduce major signs of visible aging. So effective, this powerful recovery complex supports the natural synchronization of skin's nigh time repair process. It is dermatologist-tested and oil-free. 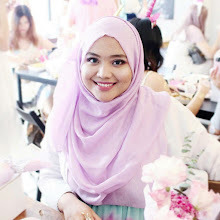 It also wearable during day time as the beauty Specailist I meet at Estee Lauder BeautyPlayground. HYPE about it! I mean this is just what I need. I received this a little bit late because currently I'm using the Kiehls eye cream and still waiting for the result but I will keep this for next use I guess. 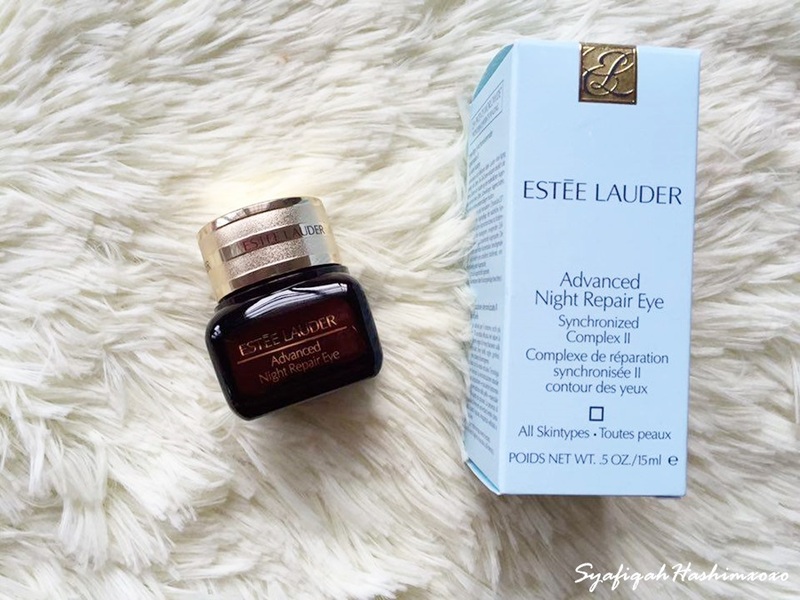 As I have mention before in HERE that I'm using the Estee Lauder Advanced Night Eye Serum and it almost finish as well. Ngeee.. Just in time I guess.. This eye cream is suitable for all skin type and most comprehensive anti-aging eye gel creme ever. Proven to significantly reduce the look of every key visible sign of aging around the fragile eye area especially fine lines, wrinkles, puffiness, dark circle, dryness and uneven skin tone. 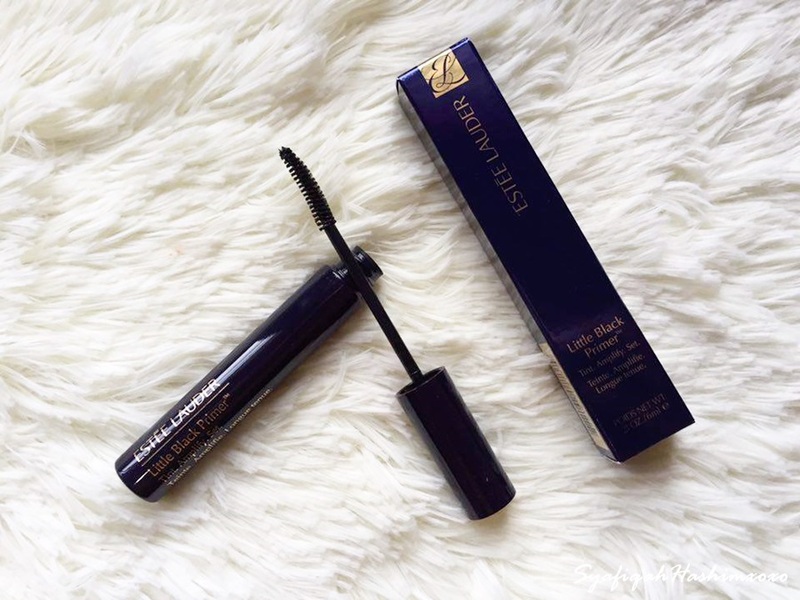 This is great for those who looking for lenghtening mascara effect beause it will help your eyelash look more lengthen and beautifully. It can be wear by itself to tint lashes silky black and natural. Can be used as a primer to amplify your mascara effect and also can be a top coats for your mascara to set with a water-resistant finish. help reduce smudging, flaking and long-wearing. Great isn't it! Basically 3in1 for your lashes. Who love eyeliner cause I am! 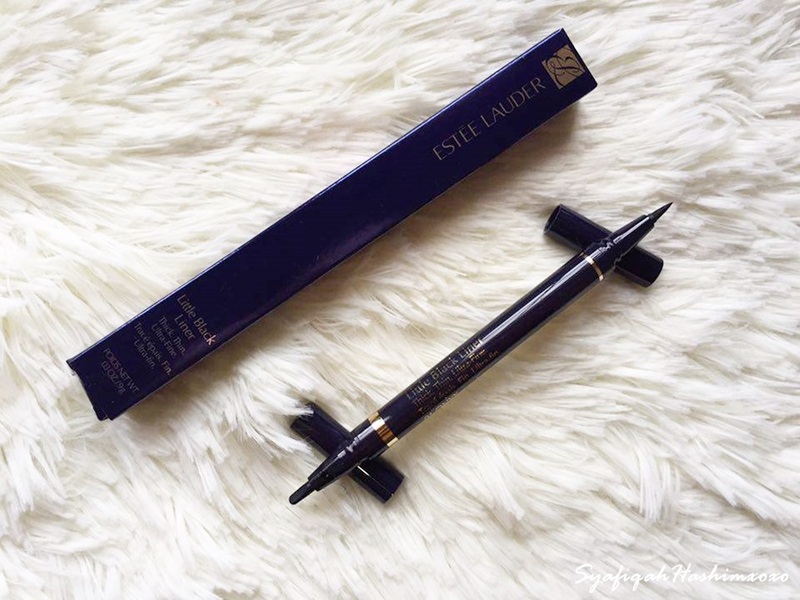 This eyeliner from Estee Lauder was great because it has two point-end with different for thick and thin line. give eyes the edge. ultra-fine tip lines with precision. flat wedge tip creates a classic line or tum it on its side for thick, full-on drama. this is waterproof, smudge-proof, flake-proof. 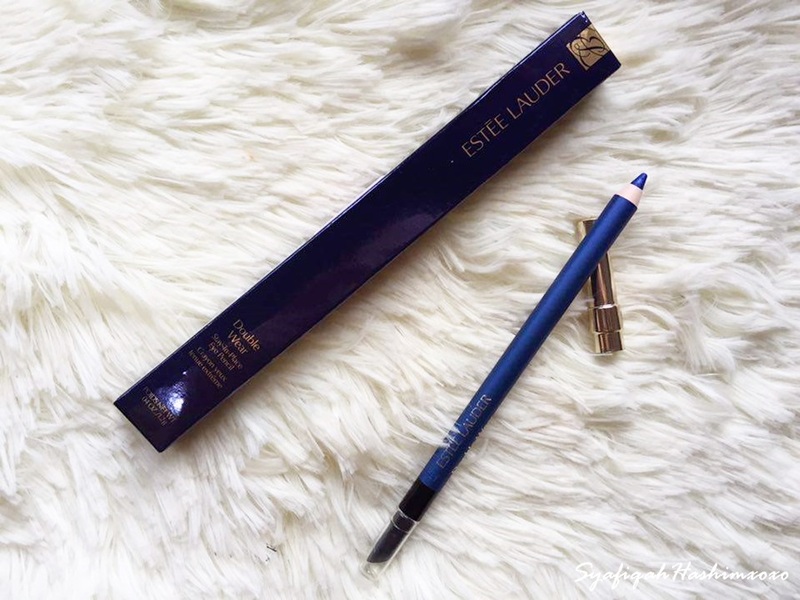 Well, let me try it first and see how this going..
Estee Lauder Double Wear Stay-in-Place Eye Pencil. When i received this is was a bit curious because it come with different ends. I at last find out the use of the end is to smudge and soften out the liner, blend before it sets with soft smudge tip. . Yeahhh.. Great! But the blue color was not so me. I don't ususally chose blue color but why not. Let's give a try later on. It claims can be wears up to 12 hours, set in seconds and water resistant. Who don't love lipstivk right?? My best think for makeup is lipstick. I just love lipstick and this is a perfect gift for me. *hint! The one I got here is in a code 220 Unattainable. This is a matt finish lipstick. I never try or even swatch this lipstick yet. Hahhaa.. But I believe that it will came out prefectly pretty. I love the packaging to the MAX! Really exclusive with the gold desing on it. wheww.. I was so starstruck the moment I apply this on my lip! The one that I got here is in code 330 Lethal Red. It is like true bright red! and sooooo beautiful. The color is amazing. I don't know why not many people talking about this but this is amazing. 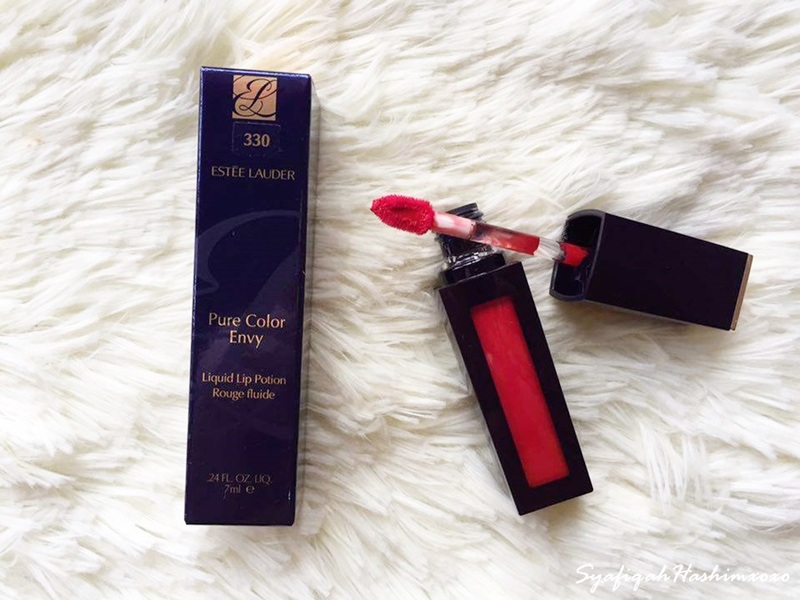 The formulation does not dry-up my lips and the color so so pigmented! I will surely going to grab this in different shades later! Plus the packaging was so nice. Looks expensive and exclusive. 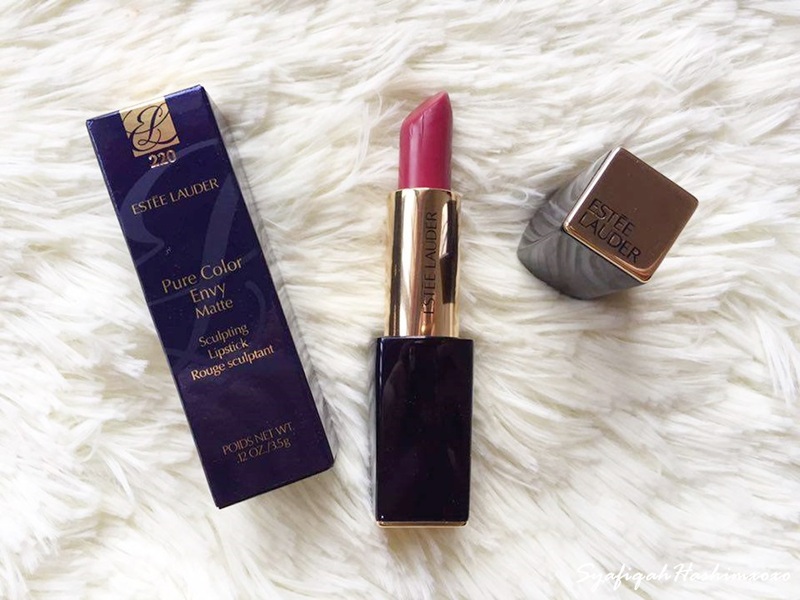 Thumbs Up Estee Lauder. I feel like people will satisfied with their purchase like this. Recommended. That's all the wrap on this Unboxing Haul! I'm super happy! You know how to make me happy just gift me a makeup and ice-cream. Hahahaa.. I hope you guys like my Haul. Actually, I'm planning on doing a video and I received tones of video tutorial but I'm still not in a condition for that at the moment but why not someday right. Hahaha.. If you like for me to review in details of any product above just leave a comment below. Okay?